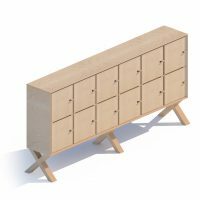 The X-Lockers are freestanding unit which provide storage and can act as room dividers. 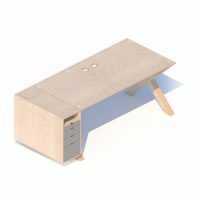 They are constructed from rock solid 23mm birch faced plywood and are designed to last. The units are plastics free and have a unique ironmongery-free hinge. The units can also be accessorised with our unique knuckle system. The X-PLY Locker range is designed to give handy personal storage with doors which can accept padlocks. The units can also be used in a freestanding format to divide rooms into loosely divided zones. Our unique knuckle system can also be use to accessorise the furniture. 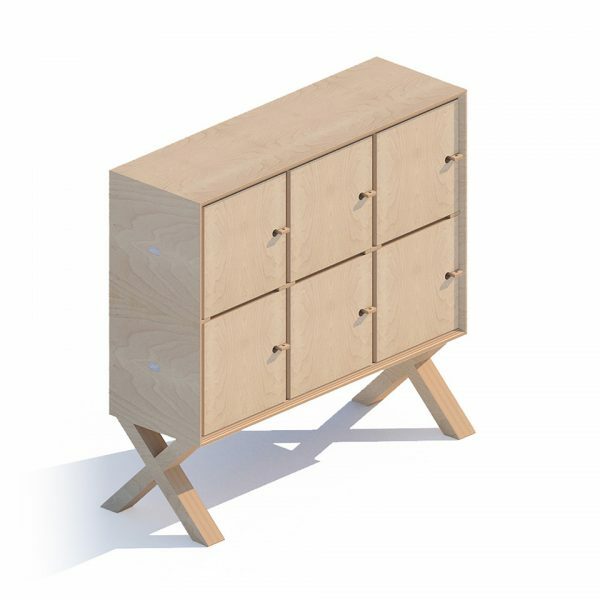 The lockers have the classic X leg format which provides a solid and stable base upon which the locker unit stands. 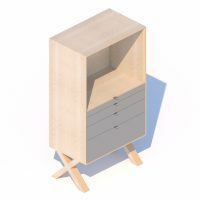 The main body of the unit as well as the doors are constructed from 23mm birch faced plywood which has a water based lacquer finish which maintains a natural birch finish. The units are entirely plastics-free and built to last. 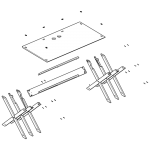 The units are available in different size formats to suit the environment.